Mark the date on 11.11, it will be the start of the new gen shopping season making it a perfect way to start your preparation in advance. The annual online 11.11 Singles Day Sales is coming back in full force, bringing exclusive deals and cashback to online shoppers. On this day, do pamper ourselves with treats like new outfits, a vacation or a change with new furniture to reward ourselves for the year's of hardwork, be it at school, work or family and many more. A small change in our daily lives could translate into larger rewards so that we are able to better focus on the next steps. 11.11 is a reminder for us to better appreciate our other halves and a great reason to spend the day together or get a surprise gift for them. In Korea, Singles Day also known as Friendship Day where middle and high school girls are noted to purchase boxes of Pepero for their friends. This snack is a popular option for the annual Valentines event and used to convey appreciation for their fellow peers on this season. Those who wish to go the extra mile, there are customizable Pepero kits where we can melt chocolates and create all sorts of alphabets and letterings with the molds given. You can get these kits online during 11.11 promotions as well. 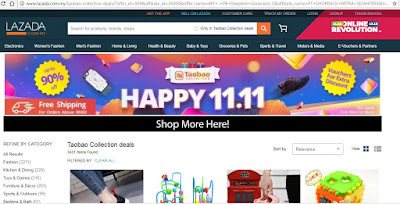 Solo or attached Singles Day and 11.11 sales will provide us a great occasion to shop till our hearts' desires with multiple promotions and deals offered across a spectrum of items. Remember to grab 11.11 Coupon Codes in advance to plan your shopping. Draft up a list of items that you would like to purchase or focus on i.e. new work outfit or a holiday outfit, electronic gadgets like smartphones or laptops that are running the last of its life and showing signs of break down, upcoming events like Birthday or Christmas gathering on November and December. Once the list done, it's time to dive into the 1111 coupon codes on various merchant sites. From credit card specific ones to item-centric discounts, just pick one that would benefit your wallets the most. 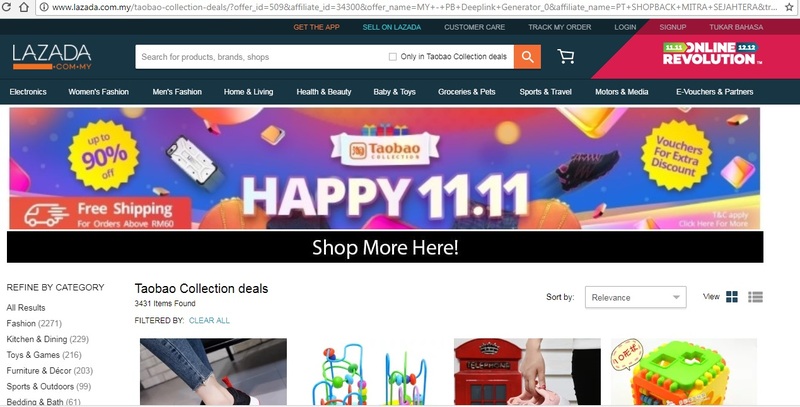 Example, for Lazada, many coupon codes are displayed on the store pages or home pages so that you can snag them easily and head to the checkout session quickly. Besides Lazada, there are lots of coupon codes and special deals to those who are looking for year end holiday trips like Airasiago, Expedia, Hotels.com and Booking.com are all aboard for this year's 11.11 mega online sales. Take a break from the daily routines by whisking ourselves away to a new spot. Enjoy your travel abroad or prepare for your beach trip or winter paradise, do not miss out activity packages from Fave on the flight, accommodation and itinerary as well. TMall, Taobao and AliExpress are one of the few online portals that spurred the events, their ultimate guide to become Taobao and TMall master shopper. 11street and Zalora which are also our favourite online shopping. Do check out through the site with ease and pick up all the hottest deals before they're gone. Besides enjoying all the great discounts and promotions, we can also get additional savings by shopping via ShopBack. The attractive cashback rates at cashback sites are stacked on top of the ongoing 11.11 sales and dropping these affordable prices by yet another inch. Sites like Photobook. Hermo, Coursera and Bonds will also offer promotions for their fashion, beauty and living shopping services. Keep your eyes on the discounted shipping which is a life-saver especially when you're purchasing in bulk. It is highly recommended to gather your friends to make a group purchase in light of the friendship for us to save on the shipping fees or better yet, free shipping when we hit the minimum target. Do check out their Black Friday promotions too for more cashback rebate. Shop for your Christmas presents in advance to save along the way and reduce your stress level of shopping for the perfect gift. Check out choices like toys, clothes and even chocolates that can be stored till Christmas and get rewarded. Mommy Jane's favourite online booking is at Booking.com where I could get accommodation, travel packages and activities with my Little Angels at the lowest price. With ShopBack deals, Mommy Jane could get 6% cash back. 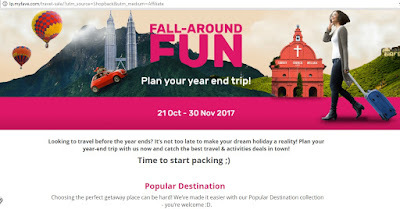 If I had incurred around RM1,000 on the holiday stay, Mommy Jane could received cashback up to RM60 on top of the cheapest price offered by the website. Mark your calendar now and let all of us enjoy our shopping day on 11.11 Singles Day and Black Friday promotions through cashback sites to get rewarded whenever we shop online for the cheapest items to help us to save more. Mommy Jane had done the list and will plan for my shopping experience on this coming Saturday, 11 November 2017 with my 5 Little Angels. We are excited and looking forward to the day where we could shop for the lowest price items and get rewarded for every items that we shop. Amanda, hope you had enjoyed your shopping and save more with the cash back. 'Bahaya! Don't want to read because cannot resist the temptations' says Rawlins while browsing through the online shopping portals. Rawlins, ha ha ha... it give you cash back after you shop online. Time to spend money is all back hehehehe .. this time most people are looking for especially those who are shopping feet online .. My fate is not. Money, money.. come to mommy! mommy will go shopping! Ai, shop thru shopback, u can earn back the money. Linda, lots of things at the lowest price and shop thru sh opback, u can earn some cash too. Sham, they sure have more promotions in future.